Surfing is one of the most amazing and exiting sports in the world. To feel the power and see the beauty of the waves, the adrenaline when you ride a wave and the peace you feel while sitting in the line-up, waiting for the next set to roll in. When I started the school back in 1994, I knew if I would show people how to surf, they would be as stoked as I am. Since then, thousands of students have learned to surf with us and there is no better thing than seeing the smile on their face when they ride their first wave, hear them shout like little kids, being all stoked and happy. Since the beginning I have been supported/surrounded by a team of experienced & passionated surf instructors which are not only excellent surfers, but also highly motivated to share their knowledge. At Quiksilver Surf School Fuerteventura, the courses and our surfcamp are a result of our collective experience of the past years and reflect our permanent intend to improve our quality & professional level. 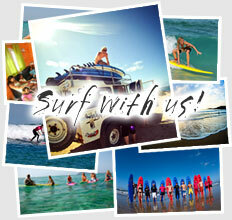 Here you will be taught by experienced multi-lingual instructors certified as surf coaches as well as life guards. We are one of the largest schools in the Canary Islands and this gives us the ability to separate groups based on levels & abilities and drive to different surf spots, making us ideal for all levels of surfers. "The surfschool allows me to share my passion for surfing and its unique lifestyle." 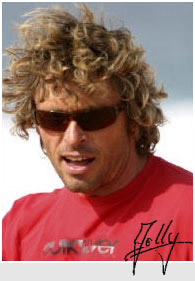 Joachim Hirsch, Owner Quiksilver Surfschool Fuerteventura.